Home » FAQs » Which Tubby Resurfacing Kit should I get? 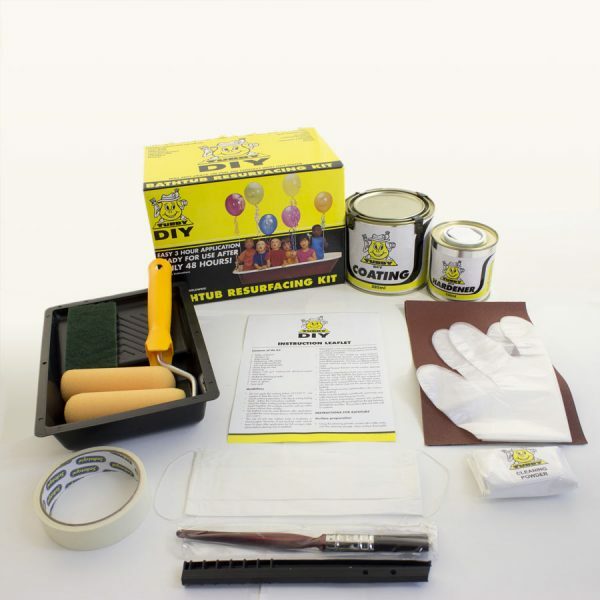 Tubby have 3 DIY Resurfacing kits and 2 repair kits all of which are available in our full colour range. Which kit is most suitable depends on your requirements and which material your bath is made from – the materials and basic components are the same across our range of Tubby Bath and Tubby Shower/Sink Kit resurfacing kits. Tubby Standard and Tubby Shower/Sink Kit have the same contents except for a difference in the quantity of coating material and hardener provided. Our Tubby Standard kit has sufficient material to apply 2 coats to a bath of 1700mm x 700mm x 450mm, while our Tubby Shower/Sink Kit resurfacing kit will cover a shower tray of 800mm x 800mm or a standard size sink and pedestal. 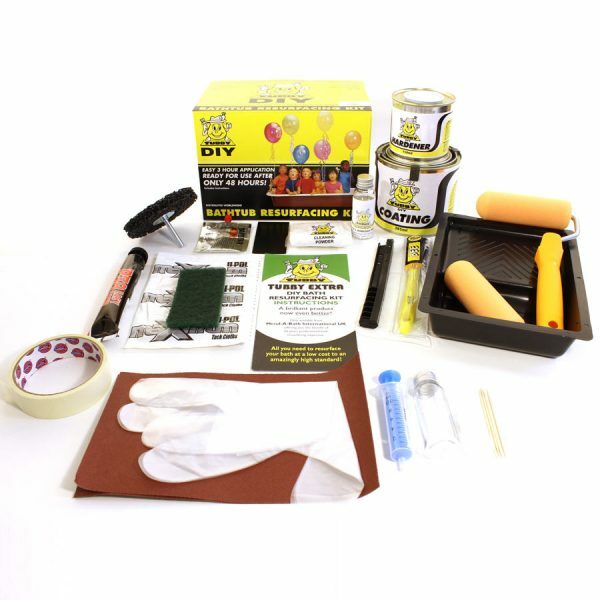 Our Tubby Extra kit also has the same basic components as our Tubby Standard kit, plus 5 addition items specific for the restoration and resurfacing of an enamel bath. The Tubby Extra kit should only be used on enamel surfaces and should not be used on an acrylic or plastic bath, sink or shower tray. If you’re still unsure which kit you need then please get in touch and we will be more then happy to guide you in your choose. If you’re unsure what material you’re bath is made from, then click HERE for quick guide or contact us.